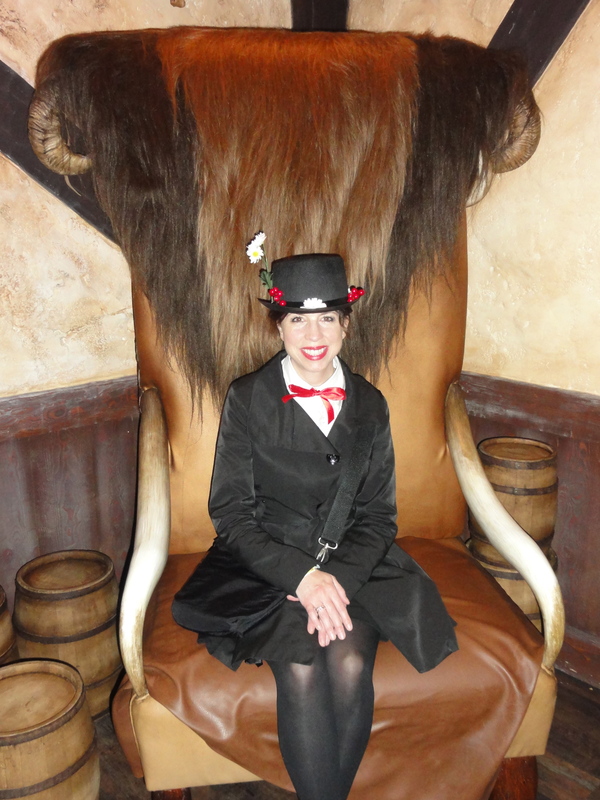 About a week ago, the lovely ladies of MouseChow got ourselves all dressed up (as the magical British caretaker duo of Mary Poppins and Miss Eglantine Price) and headed over to Mickey’s Not So Scary Halloween Party. 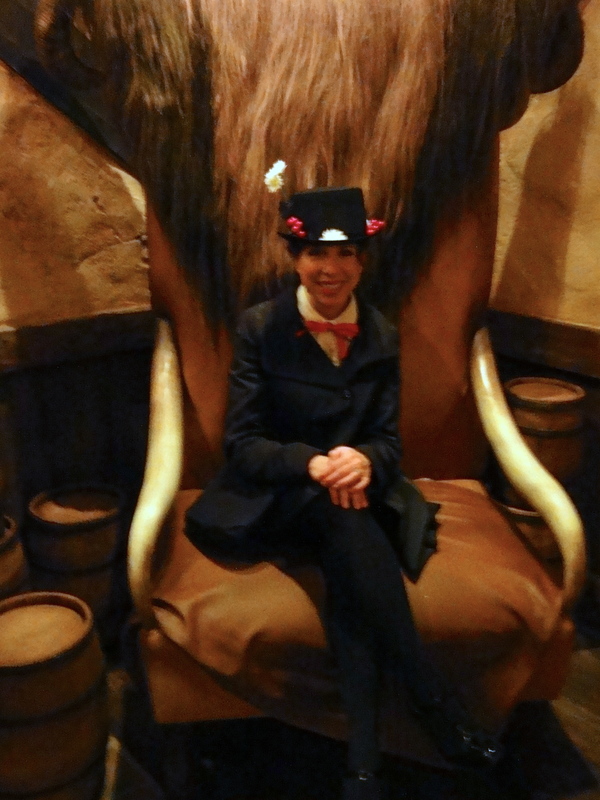 We weren’t sure what to expect as neither of us had ever been, but I did have one big hope – that New Fantasyland would be open for dress rehearsals. We wandered back through Liberty Square and of course went on the Haunted Mansion. 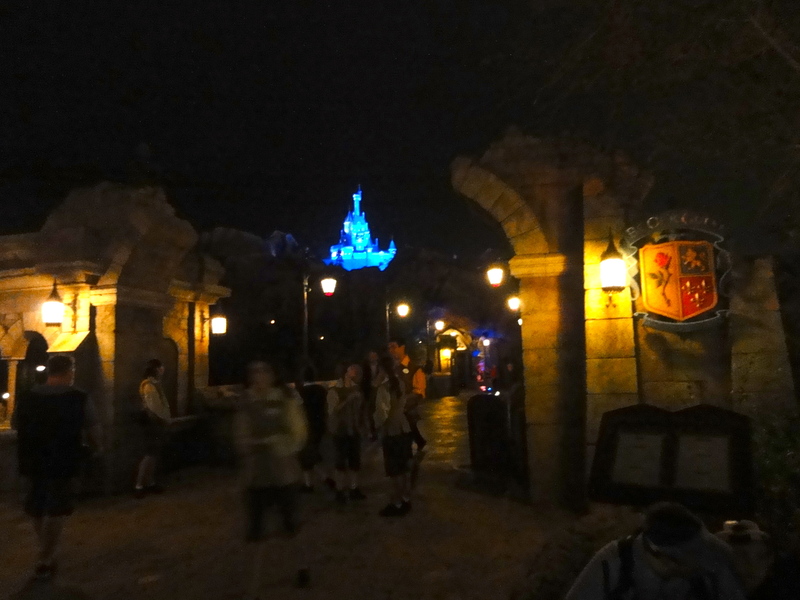 Then, despite being told by a cast member that New Fantasyland was not open, we headed back to just see if we could take a peek. 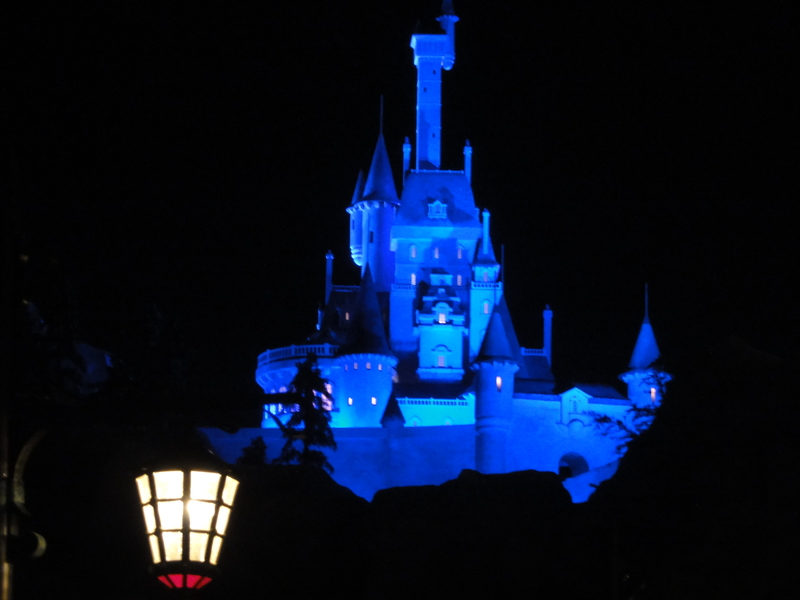 As we were taking a shot of the distant and lovely Beast’s Castle, we were invited right in! 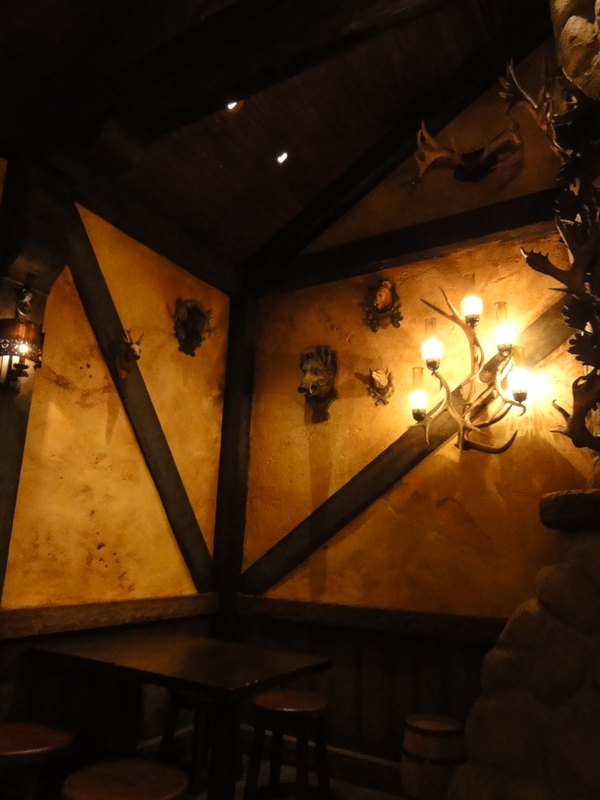 There was a private party in the Be Our Guest restaurant, so we only were able to peek through the gates. 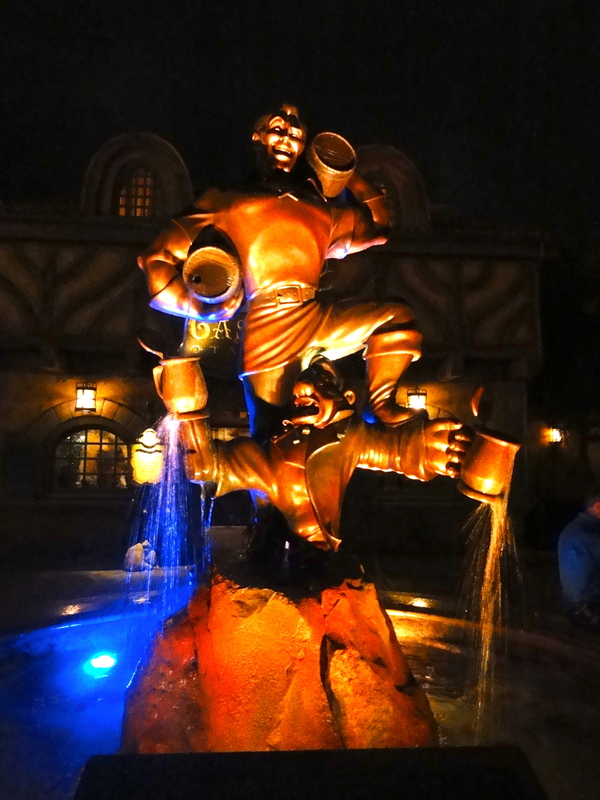 Continuing into New Fantasyland we next entered the square featuring a lovely fountain and statue of Gaston (standing on Le Fou.) 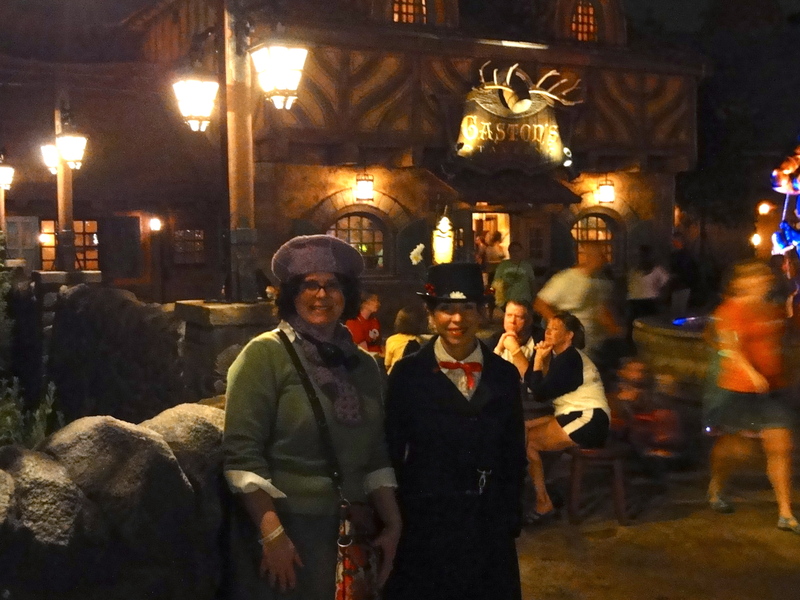 And of course, Gaston’s Tavern. 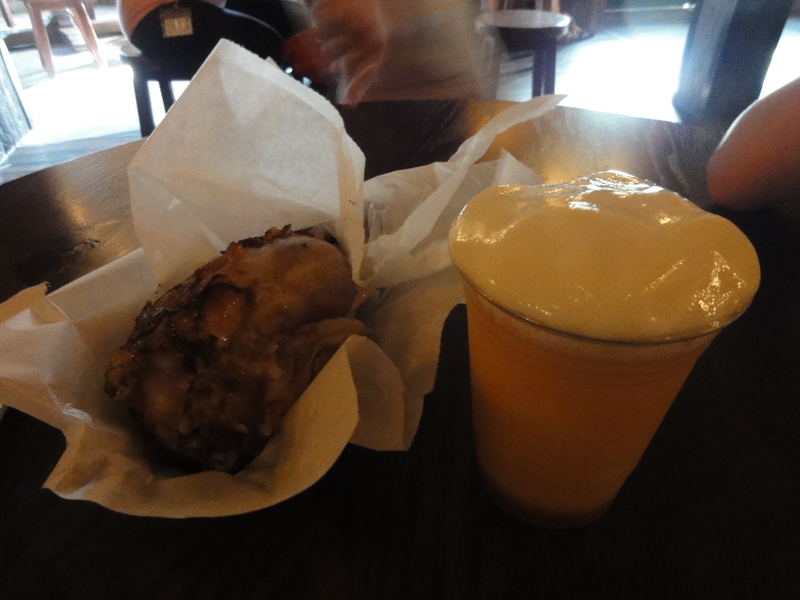 You’ve probably already read about the roasted pork shanks at Gaston’s. We saw them, but were not up to eating one that late at night. 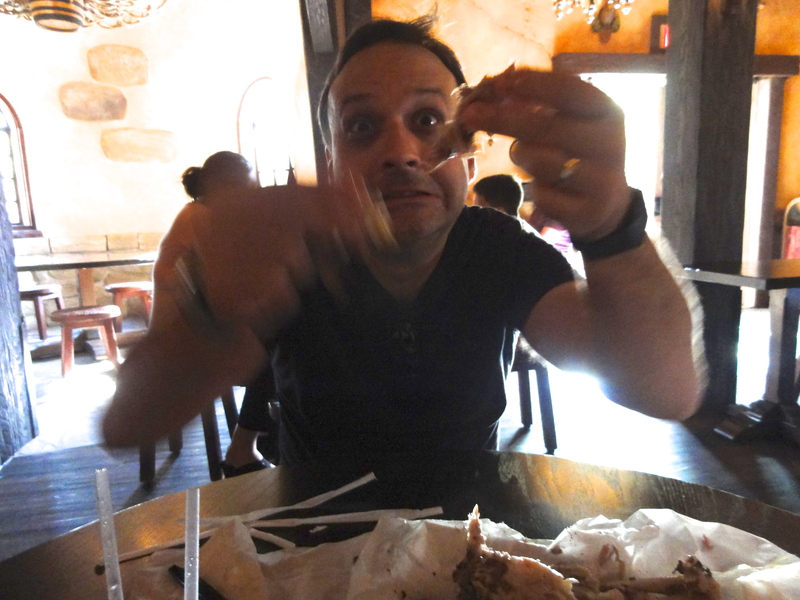 Honestly, they looked less ridiculously fatty and huge than the Turkey Legs, and might actually be an option to share with a few people. 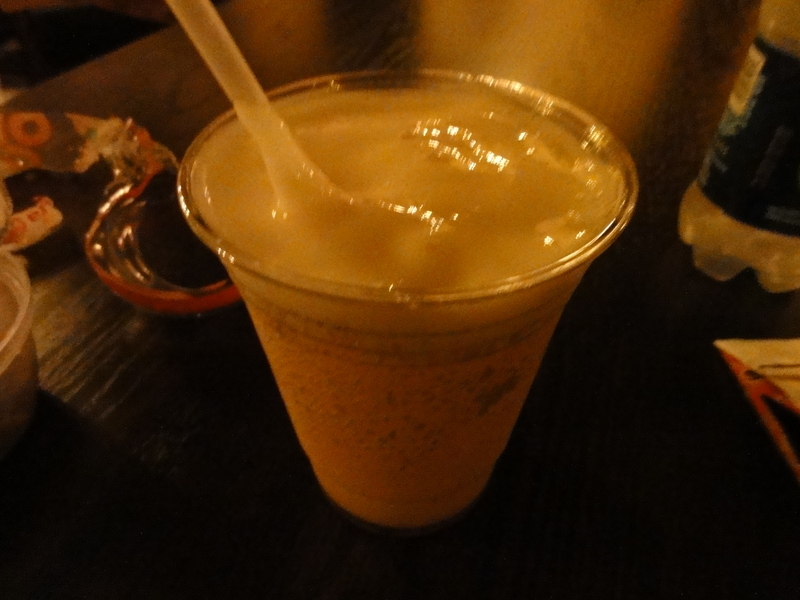 As for the Brew…well, it tastes like the frozen apple juice that it is. If you like apple juice, then you’ll probably like this. The creamy foam on top is very, very sweet and somewhat mango-flavored. I was pretty underwhelmed, and for $4.49 I can’t imagine getting one again. I also don’t understand why anyone would get one of the souvenir mugs – they are hideous. 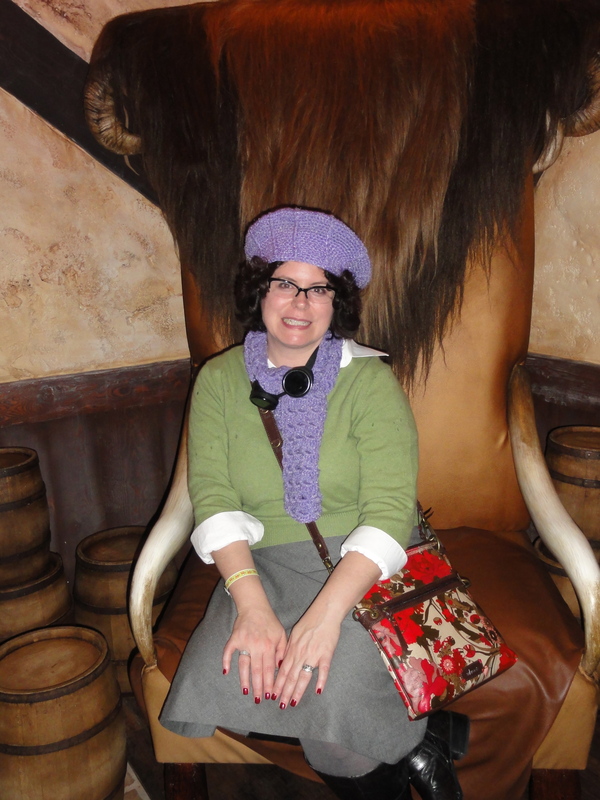 And by the way, Gaston’s giant chair makes for a great photo op. 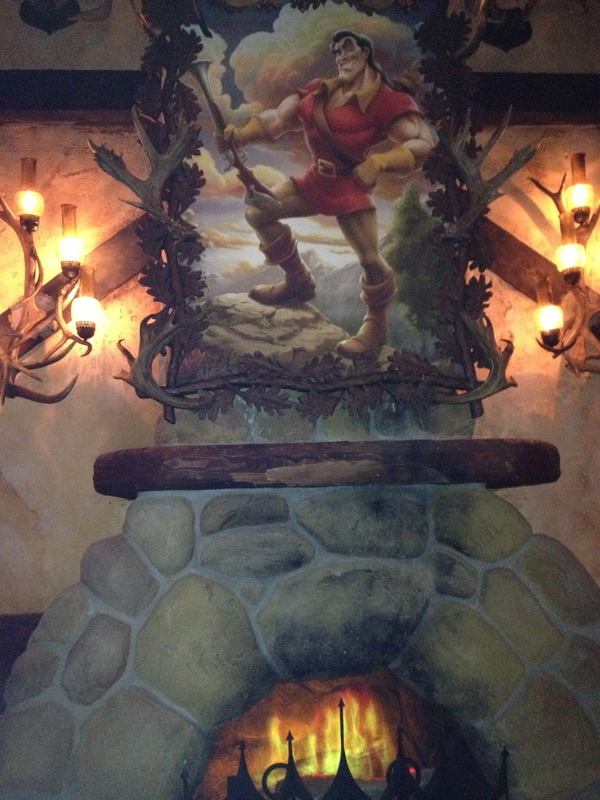 One of our cast-member friends tells us that Gaston sometimes pops into the Tavern and berates guests who are sitting in his chair. 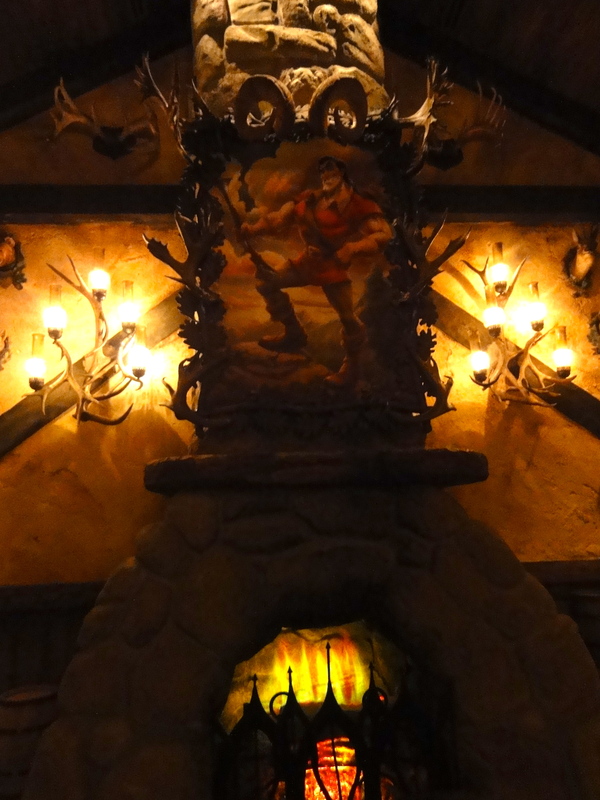 I caught a quick glimpse of Gaston, and frankly I don’t think I would mind being the center of his attention…so we chanced it. 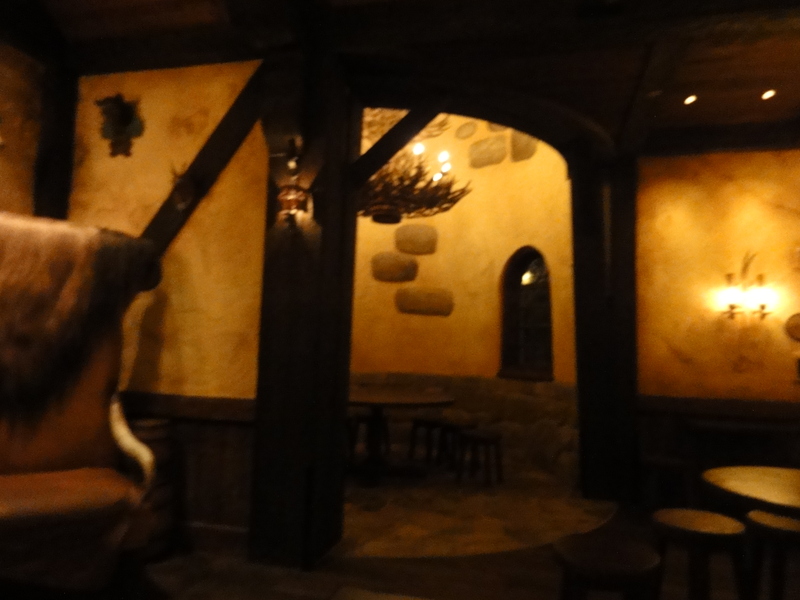 Finally, I’d had about half of my LeFou’s Brew (and some pre-packaged Sabra pretzel chips and hummus) and it was time to move on from the Tavern. 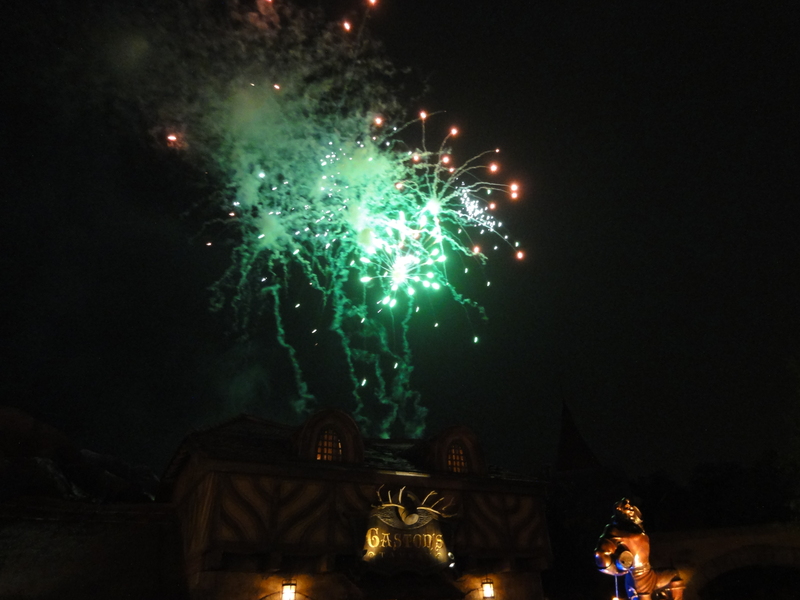 It was great timing, too, because just then the Hallowishes fireworks began. 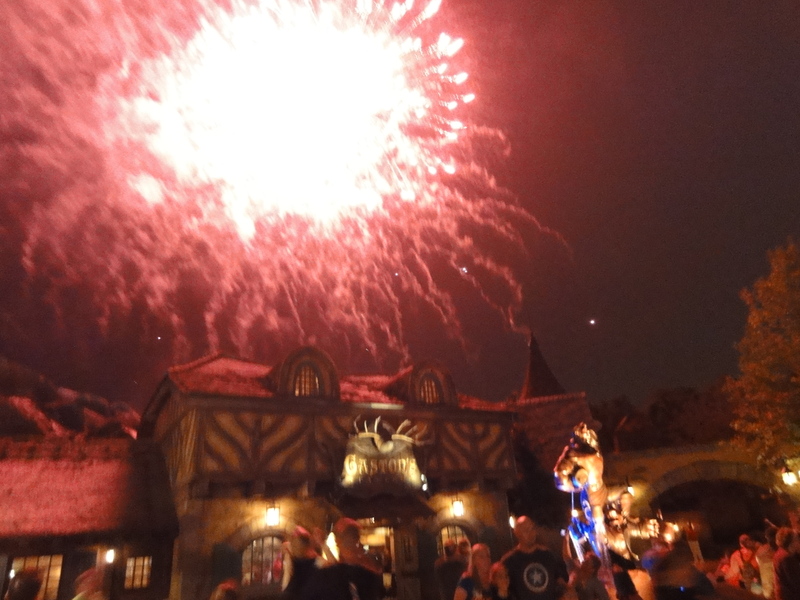 And Gaston’s square is a fantastic viewing spot for the perimeter fireworks. Holy cow. Whew! OK, so after that was over, we continued on to the Voyage of the Little Mermaid. I didn’t want to take pics inside the attraction because it’s very dark, and would require flash, but here’s a lovely shot of the exterior. I didn’t completely fall in love with the Voyage, but it’s a very nice dark ride addition. I haven’t yet been to the one in California, but am assuming it’s similar. If you’ve experienced both, please leave a comment with your comparison! Whew! 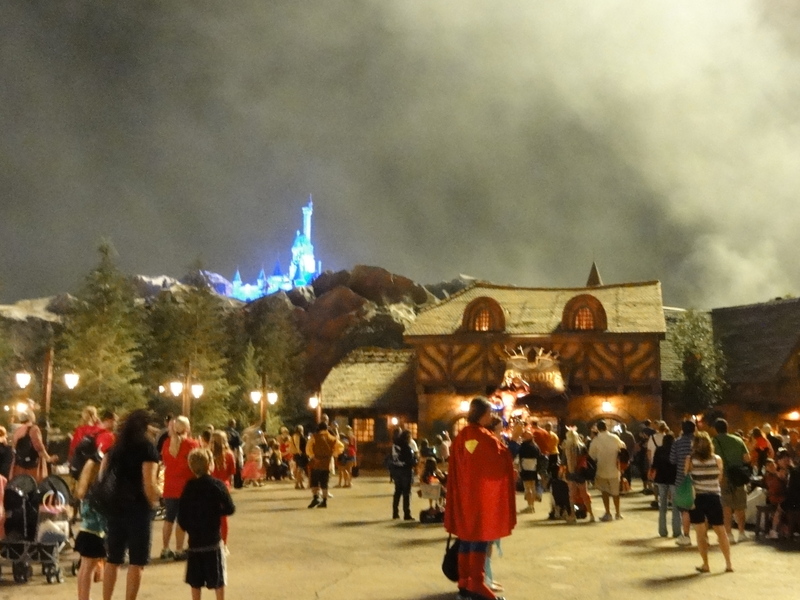 So that was our night at New Fantasyland. 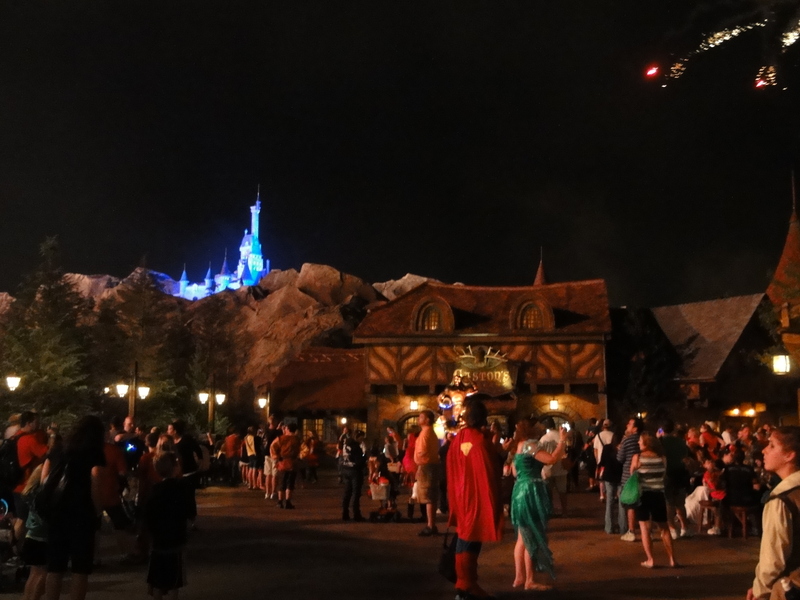 Frankly, we ended up seeing very little of Mickey’s Not So Scary Halloween Party. But it was worth it. 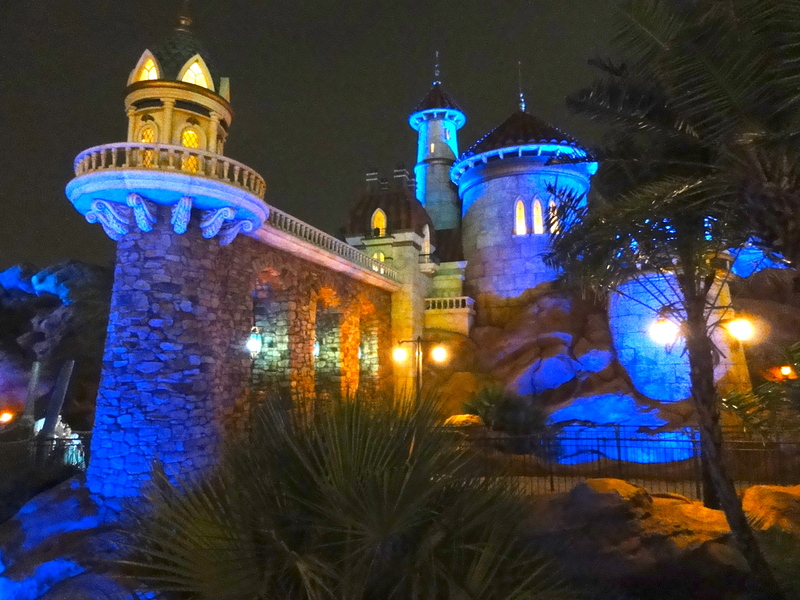 New Fantasyland’s Grand Opening is set for December 6. What are you most looking forward to? Any questions I didn’t cover? Let me know in the comments! And stay tuned for Part 2 – Storybook Circus!